BOOM Library has announced the release of a brand new audio plugin that automatically repairs off-center stereo recordings. ReCenter keeps the original stereo width which makes it an invaluable time-saver and a perfect tool for professional post-production. Fix off-centered stereo field recordings, dynamically center vocal artists or musicians that moved around the stage or center hard directional effects like drive-bys and stereo whooshes. 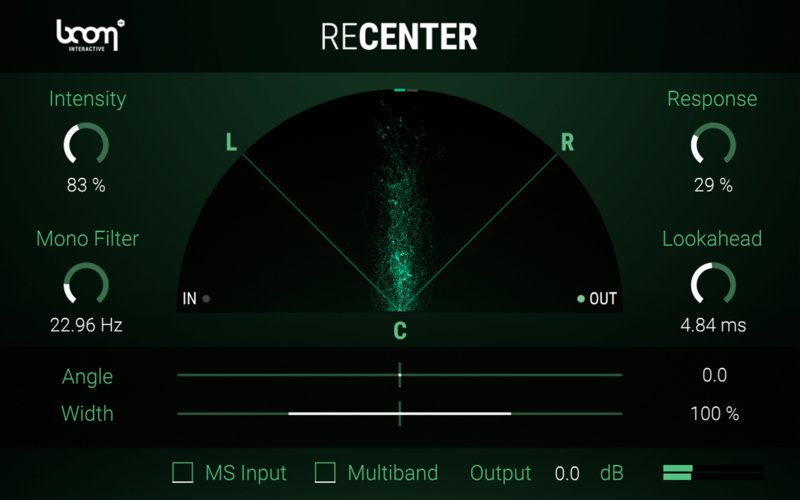 ReCenter continuously analyzes the directionality of a stereo or M/S signal and rotates it to a given target angle in real-time – without narrowing the stereo width. Correct poorly aimed or moving stereo recordings while skipping the time-consuming and most often ineffective pan automation process. All you need to do is tell ReCenter how hard, fast and precisely it should adjust your signal. For a better low frequency control, you can mono the original signal below a set frequency. A multiband processing option intelligently shifts more complicated signals. Dynamically create convenient stereo images. Once the center is restored, precisely alter the stereo image. Input stereo or M/S signals. Mono filter below certain frequencies. Multiband mode for heavy-duty applications. Widen or narrow the centered stereo image. Shift the output angle to left or right (edited). ReCenter for Windows and Mac (VST/VST3/AU/AAX) cost 69 EUR/$79 USD. 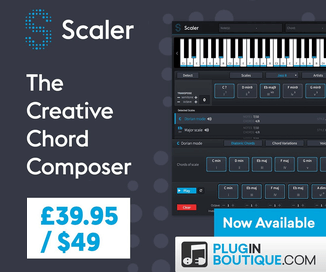 You can save 20% on the plugin until February 12th, 2019.